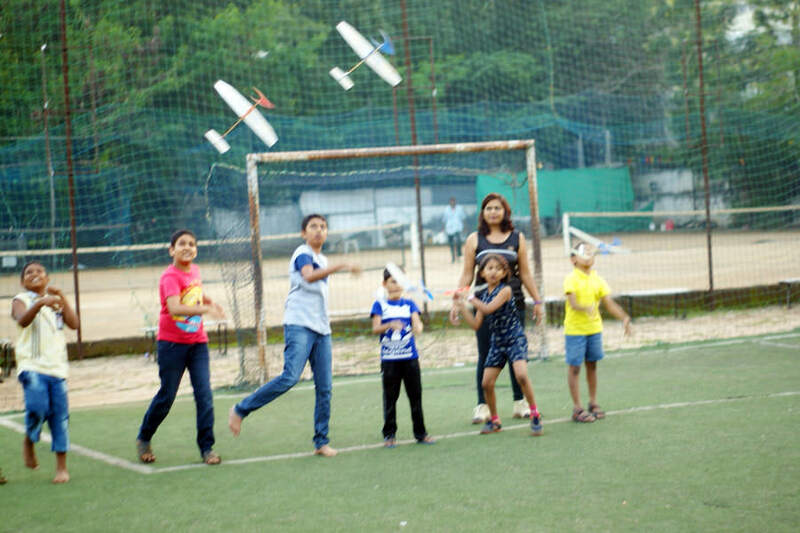 High Octane Aerosports is an experiential flagship venture of Ventus Aerospace. 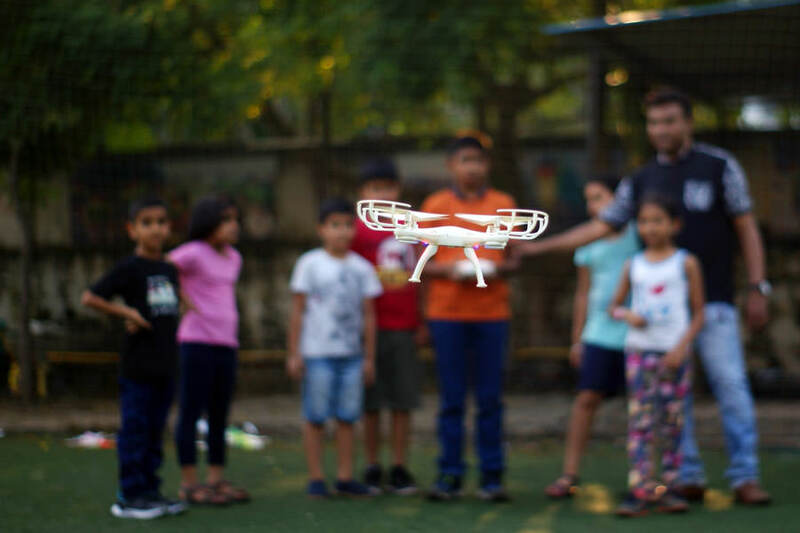 Aeromodelling has swiftly gained popularity with the gradual emergence of RC Planes and Quadcopters. 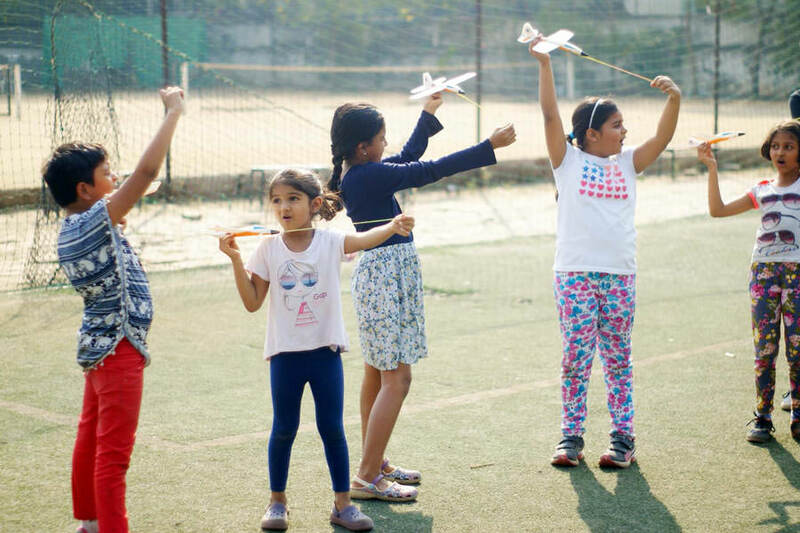 At High Octane Aerosports, we provide the best activity and learning spaces for kids and youngsters with our Aeromodelling workshops. Known for engaging, exciting and interesting way to start Aeromodelling, we have created our own niche in the field. Get back to us to join our Aeromodelling workshops in Pune or to partner with us. For the fascination of flying! Aeromodelling is the activity, science and hobby of making model planes and flying them. 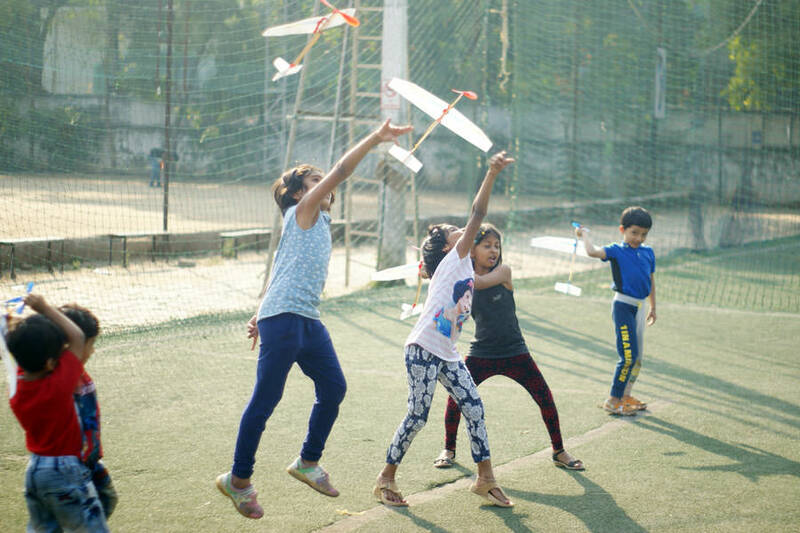 It makes the best STEM activity that helps understand the science of flight, creates a sense of achievement and an exciting hobby. In this type, model planes follow the wind while they soar in rising currents of air. They set their own course due to being free of any control from the ground. 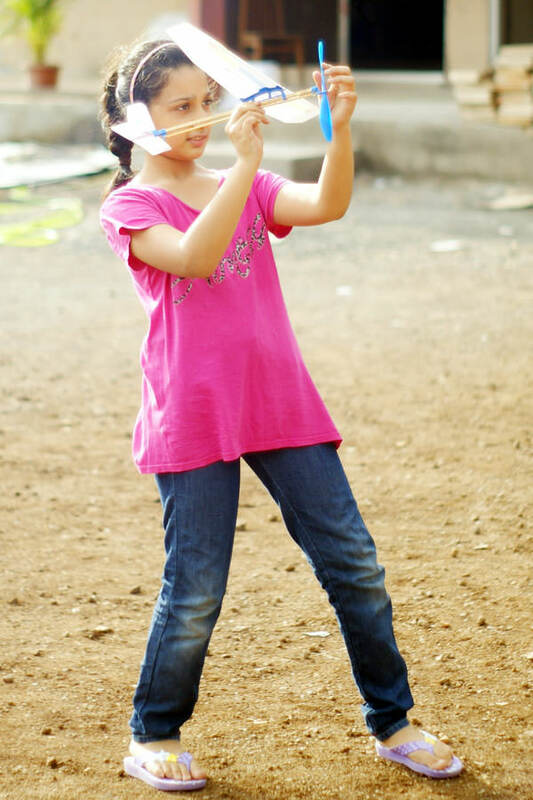 Have you ever tossed a folded paper plane? You have certainly flown a free flight model plane in its most basic form. 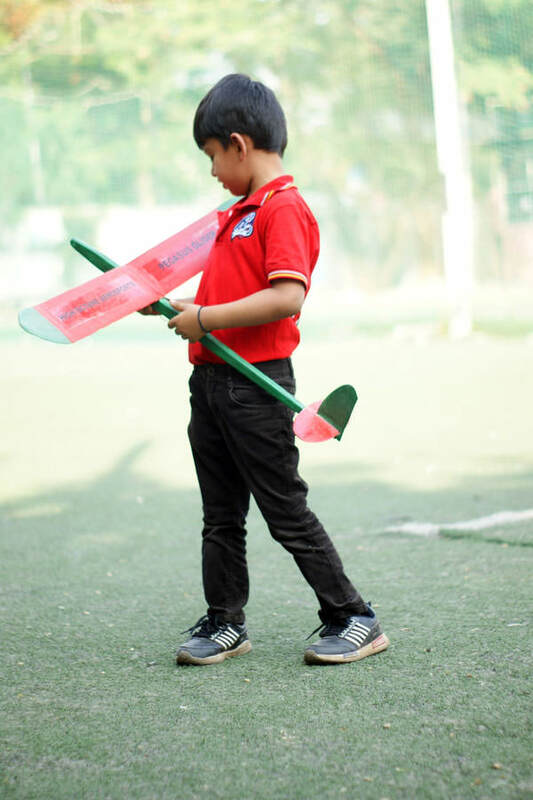 Create a competitive objective to build and launch a self controlling model plane for longest flight duration and in-flight stability. Achieve the stability of the model planes by a combination of design and trim – the relationship between center of gravity, wing and tail plane incidence and rudder setting. Master the technique, practice it and you can also compete to win in the Free Flight Aeromodelling contests. 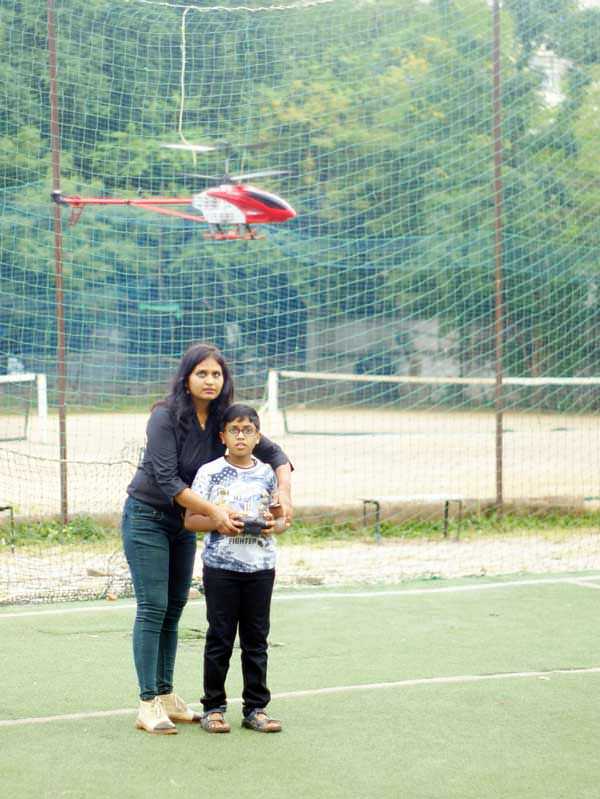 Controlling RC planes using handheld transmitters is an excitement and an adrenaline rush not anything lesser than flying real airplane. RC Planes certainly are fun and fascinating. Over the years, these planes have evolved along with technology. As a result, now you can experiment and learn with newer flight concepts and principles. Flying RC Plane advances you from a simplistic hobby to an advanced understanding of Aeronautics and Aerodynamics. And with these understanding, RC Aeromodelling converts your love of flying into a skill that opens up a field and career options to take you higher and higher. Quadcopter is a machine every Aeromodelling enthusiast wants to build and command. If something goes wrong, you certainly want to be able to diagnose and fix. Building a toy quadcopter from off the shelf hobby grade equipment is now a piece of cake. It almost poses little or no challenge in building one. But when you want to build a sophisticated and accurately controllable quadcopter, the ballgame changes. It demands understanding of the build process, assembly, configuration, aerodynamics and above all patience. Furthermore, if you want to try Aerial Photography with your copter, accurate mounting of the camera and transmitting the video feed is needed. Free Flight Model Plane that sizzles! 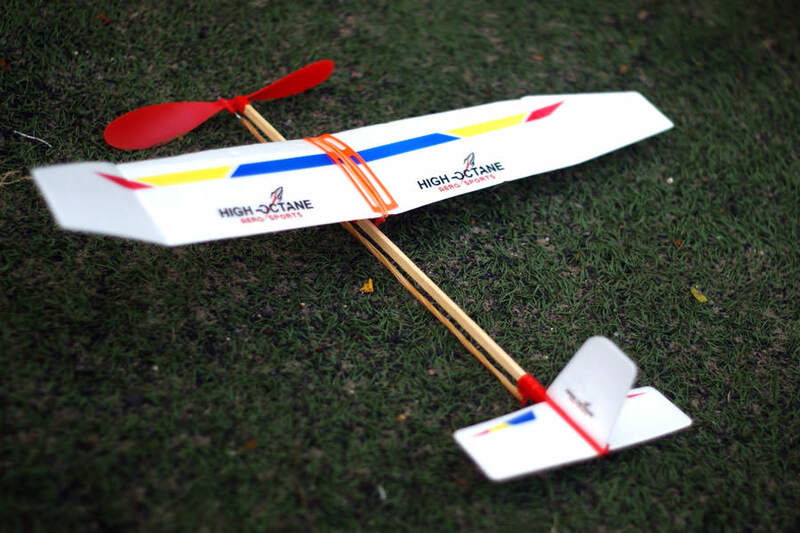 Hangar Rat, our popular rubber band plane, is a featured model plane by High Octane Aerosports. This plane is part of making activities in our workshops. This is an Aeromodelling kit which is a DIY and is suitable for flying in a hall or outdoors. Typically it takes over an hour for beginners to make the plane and can soar to its ‘free flight’ for over a minute. It is the best model plane in the Free Flight category and is fun to make and fly. You can buy this and other Aeromodelling kits with us. From Aeromodelling for beginners to advanced RC Planes! 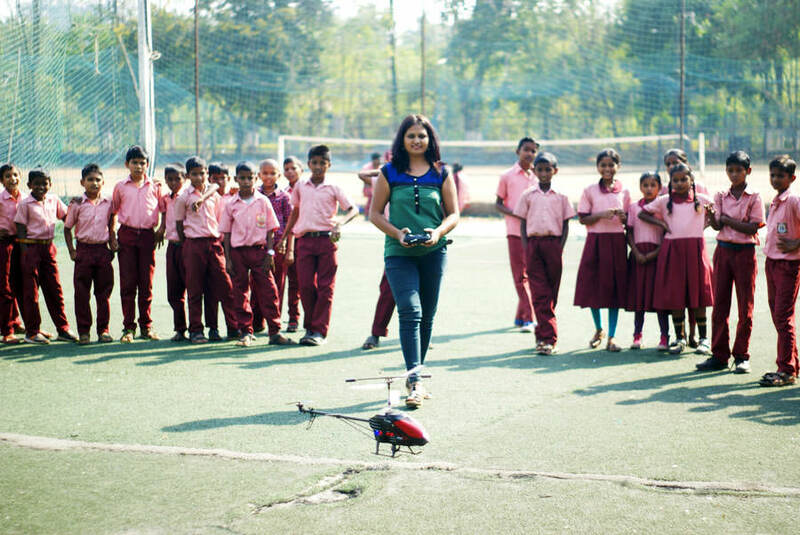 High Octane Aerosports provides its participants with a range of high-quality workshops. 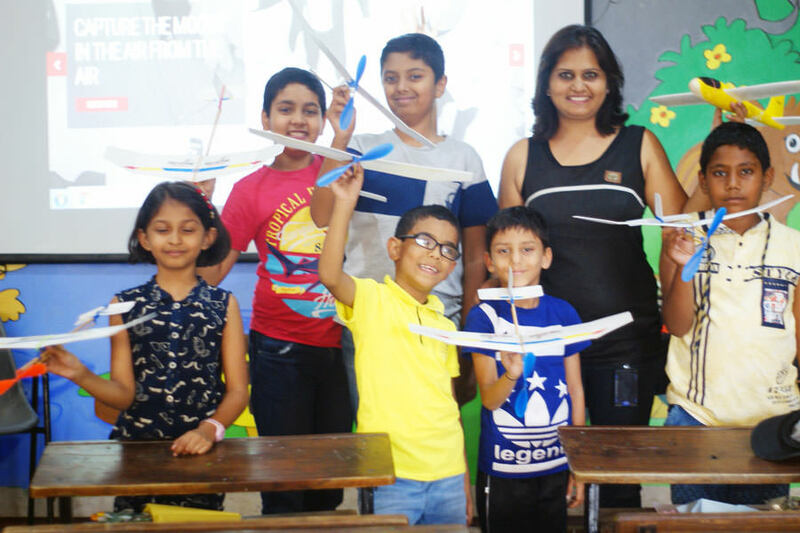 This is our most popular workshop that introduces kids to the cool and fascinating world of airplanes. We conduct this workshop only in Pune, almost one every month. Kids as young as three years have also been part of this program. They enjoy the knowledge enriching interactive sessions, discussions and quiz about airplanes. 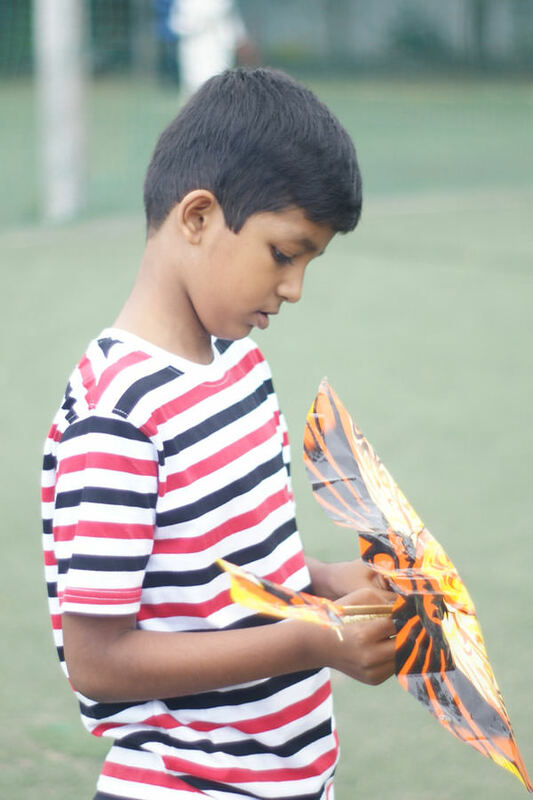 Then learn to construct free flight model planes from kits provided and enjoy flying their own models in the field flying. They take back their model planes home to try again later. Additionally they get to enjoy demonstrations of RC planes, RC helicopters and quadcopters. 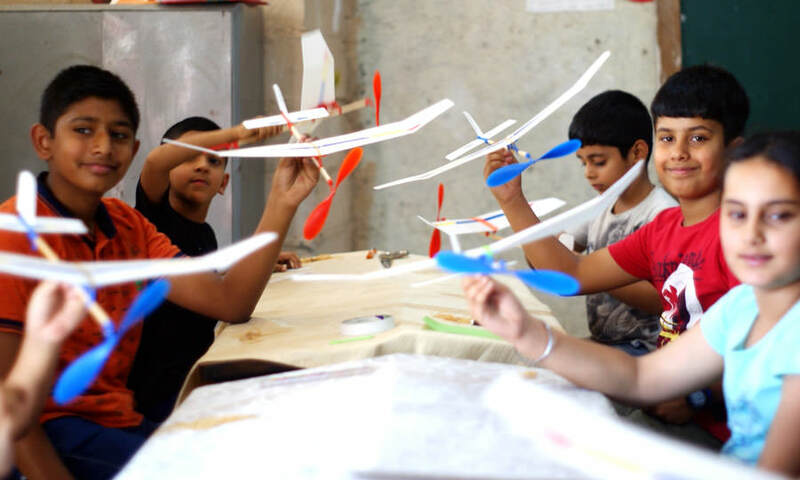 So if your kid just want to start with Aeromodelling, check our upcoming workshops in Pune now. With our signature program “Aeromodelling STEM” participants get a chance to discover Aerospace in detail and fun way. We conduct this program in summer vacations. 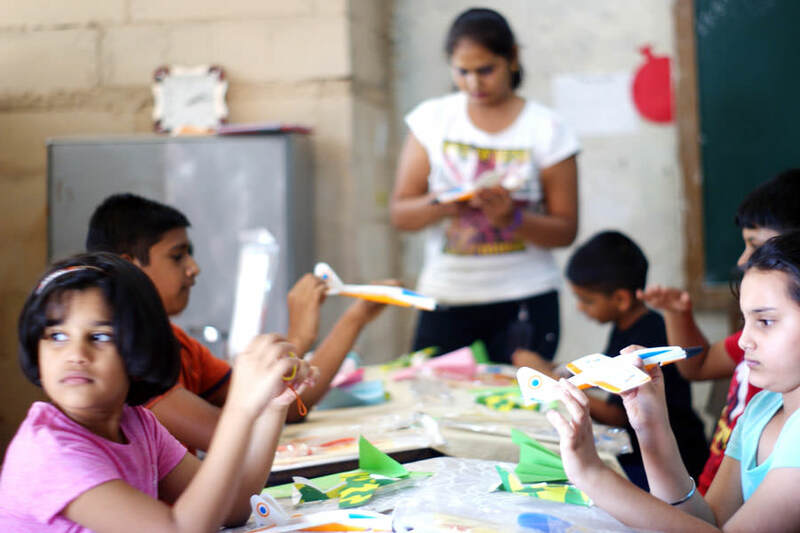 Participants get an exceptional learning experiences, projects, assignments and tools to create model planes. All this with an enhanced application based STEM learning – like Newtons Laws and Bernoulli’s Principles. Understanding and appreciating the science and engineering behind aerospace, by inspiring participants’ interest in STEM subjects and by bringing the “real world” into their classrooms is the prime objective. So register now for our upcoming Aeromodelling STEM camp. Mini projects and assignments on Aero-STEM. 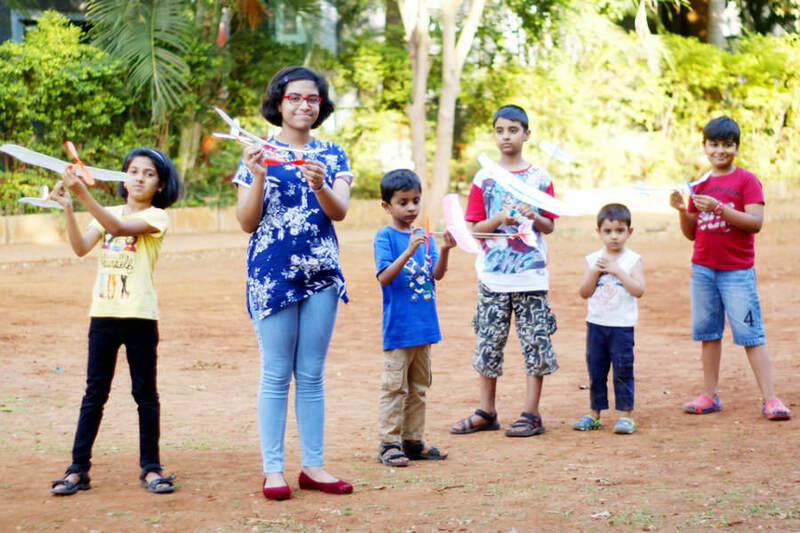 This is a 2 day workshop that gives you a chance to design a RC Airplane, learn to fly it and take it back home. All this after understanding the theory of airplanes and Aerodynamics through interactive session and brainstorming. 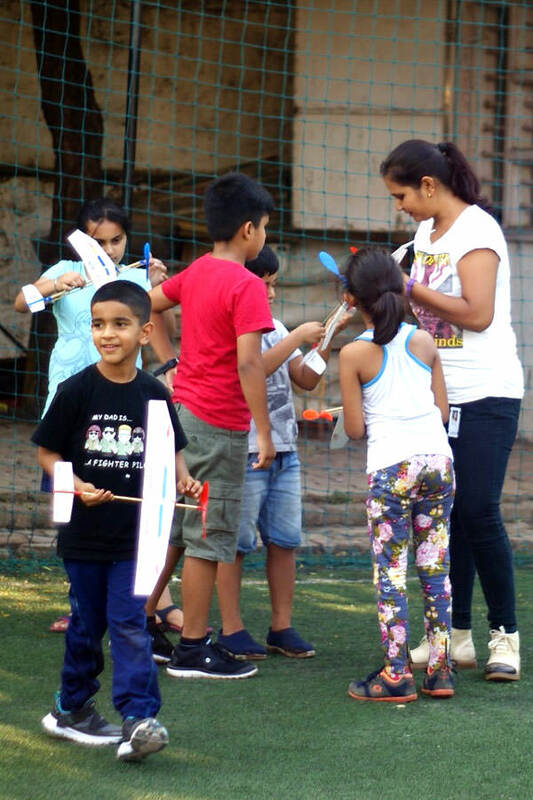 This workshop is for age group 10+ yrs who wish to advance to RC Airplanes as hobby, RC competitions or careers in Aerospace. We conduct this workshop once every three months at Pune. So, if RC Planes are what fascinate you, contact us to register for the upcoming RC Aeromodelling workshop now. Hands-on experience on the electronic and electrical instrumentation. I gained some experience on model planes and I want to develop it further by using the RC. Thank you Sir and Mam at High Octane. If you tell me, I will not understand. If you show me I may understand. If you engage me I will understand! This is exactly what we done in the workshop. Team High Octane Aerosports is very amazing and enthusiastic. All lil kids were enthralled by model planes they made. The feedback they gave summed it all. This was the best workshop they had attended till date. Therefore, I, parent, thank you for this initiatives. Features that set us apart! 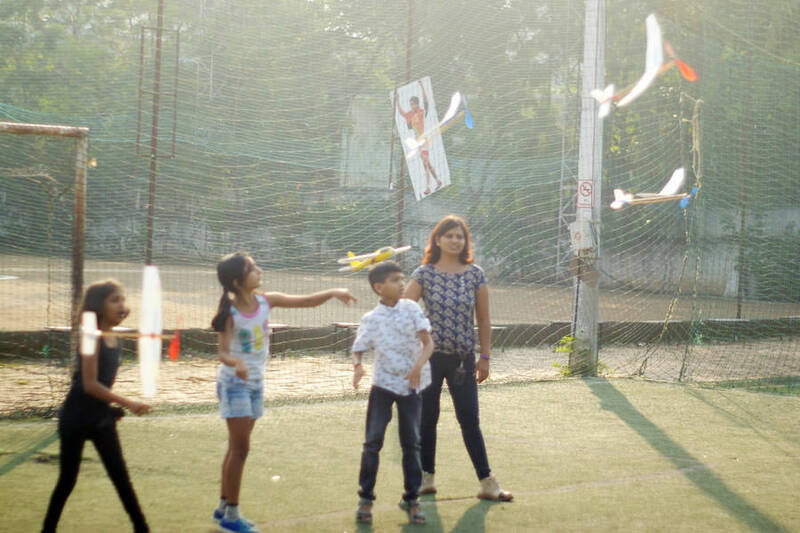 At High Octane Aerosports, we present an exquisite fun and learning experience with our workshops! Get a simplified understanding of Flight Mechanics, Aerodynamics, Aeromodelling Basics and Aviation. Our sessions feature multimedia presentations, video assisted lectures, brainstorming and quiz to enhance the understanding. 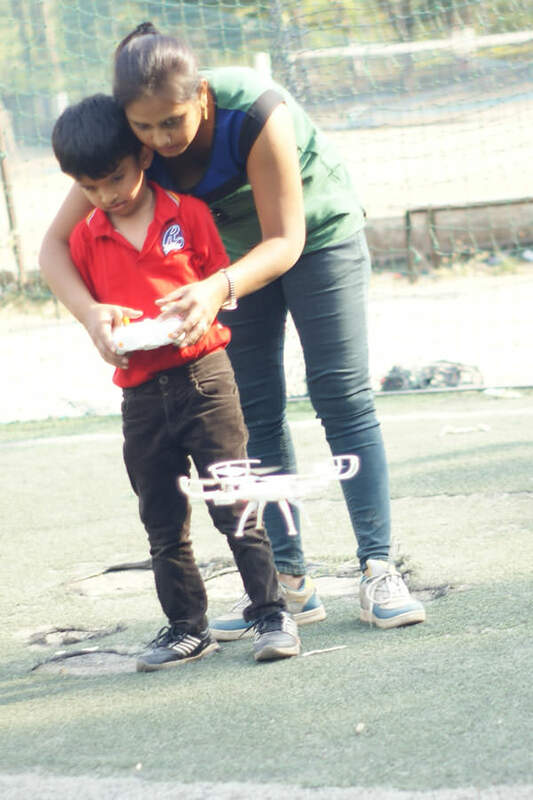 When it comes to learning and honing skill of flying RC planes, RC simulation has no equal. Training is provided on a computer with use of real RC transmitter, without the risk and expense of damaging a real model. Practice acrobatics, evaluate a model plane before buying it or fly in unsuitable conditions, thanks to RC simulation. Our aerospace team has served the aeronautics and space industries. We identify and exploit novelty in Aeromodelling, delivering deep subject matter expertise and cutting edge strategic advice as well as improvements. 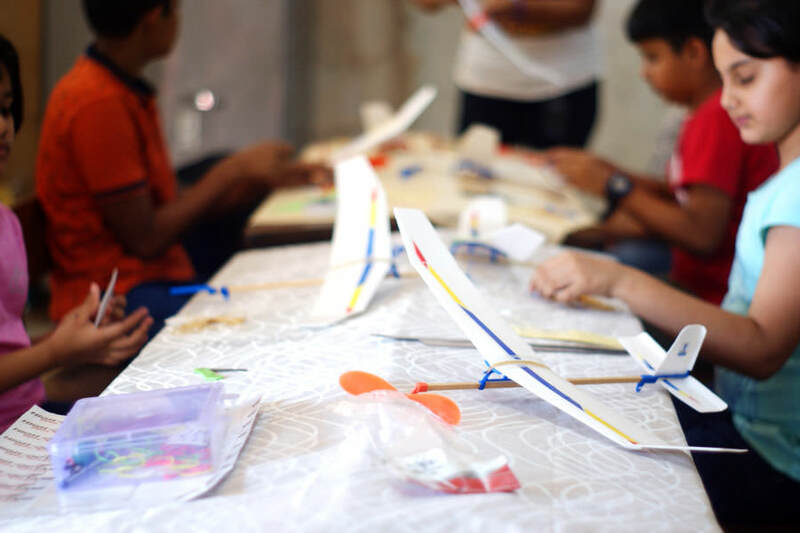 One set of Model Planes are provided to each participant as a part of making activity. All these planes, whatever participants make as per our instructions, are takeaway after the field flying sessions. 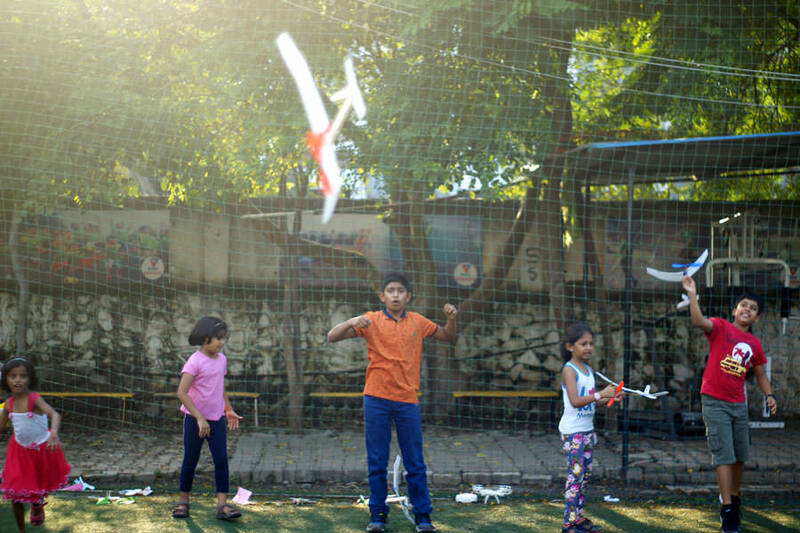 Take them home and fly them again and again after the workshop. With an emphasis on Aerospace STEM, we inspire, influence and mold the participants for next generation of scientists and engineers. We provide a range of assignments, tools to enlighten and engage participants to learn more about STEM – subjects which will give them the tools to advance aerospace. Field flying is where the actual flight testing of model planes happen. 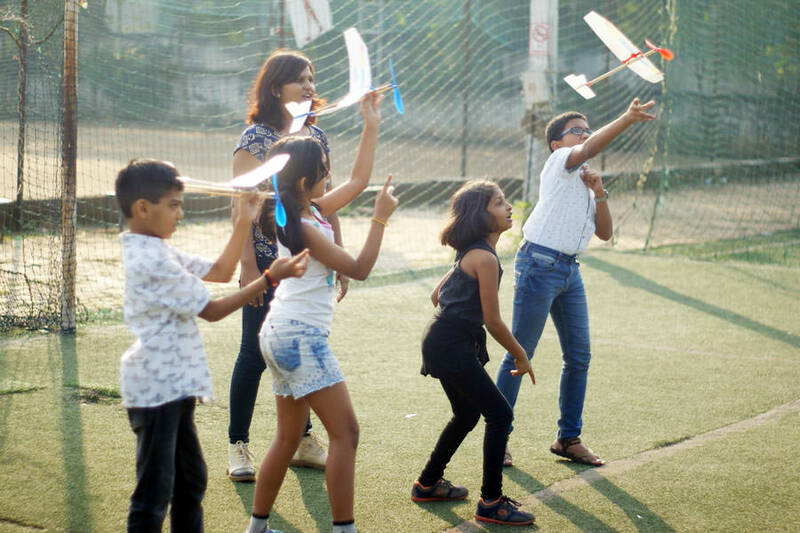 Participants get a chance to see how their model planes fly on the field (usually school ground) and tweak or fine tune their design for optimum flight. If that’s not enough, they also get to try flying advanced RC models as part of demonstrations. Learn Aeromodelling as a business with us! If you are a job seeker or want to get self employed then think Aeromodelling. 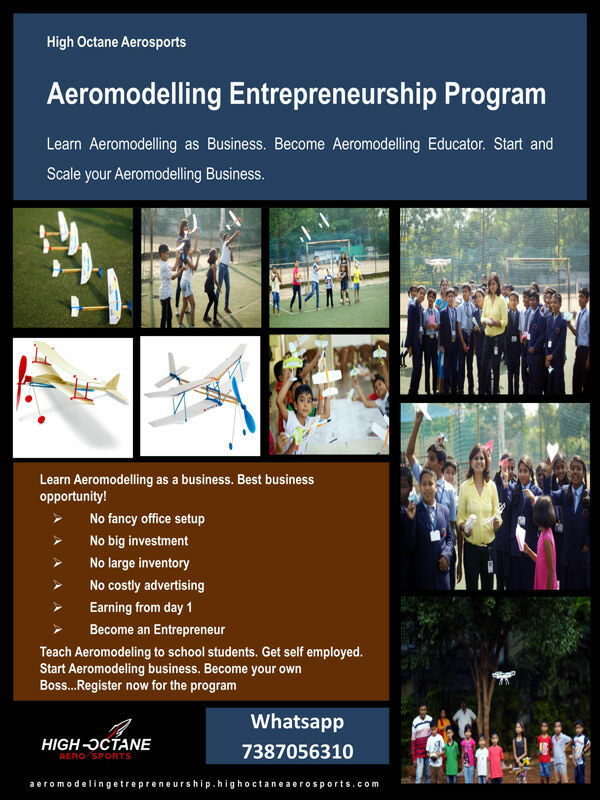 If you like the field of education and are willing to work creatively you can make a fortune by starting your own Aeromodeling business with our Aeromodelling Entrepreneurship Program. You can start your own branded Aeromodelling workshops and camps business from your home itself for a low investment and get self employed. Learn the minimum technicalities involved in the niche and the business know-hows with this program and get started on your entrepreneurial journey with us. She is the instructor for the workshop. Additionally, she leads processes and policies improvement, manage events, lead long term company goals, manage schedules and deadlines. Organize our workshops at your school! 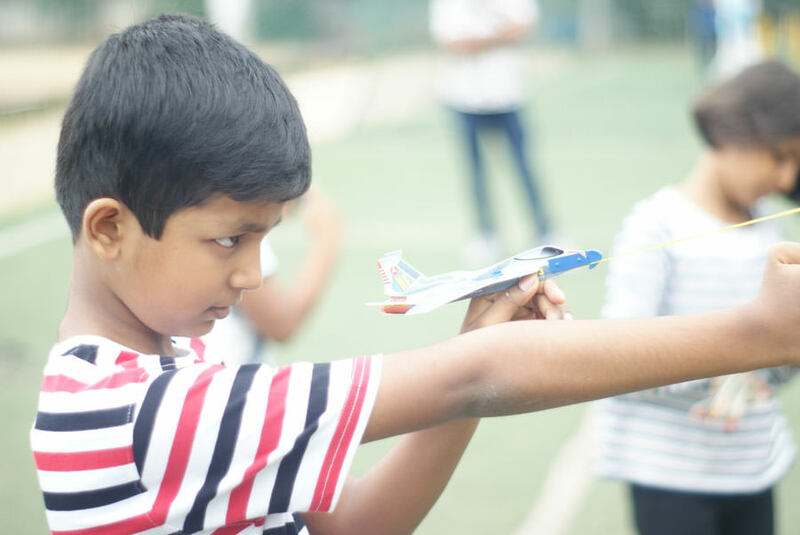 High Octane Aerosports conducts Aeromodelling workshops at schools in Pune upon invitation. 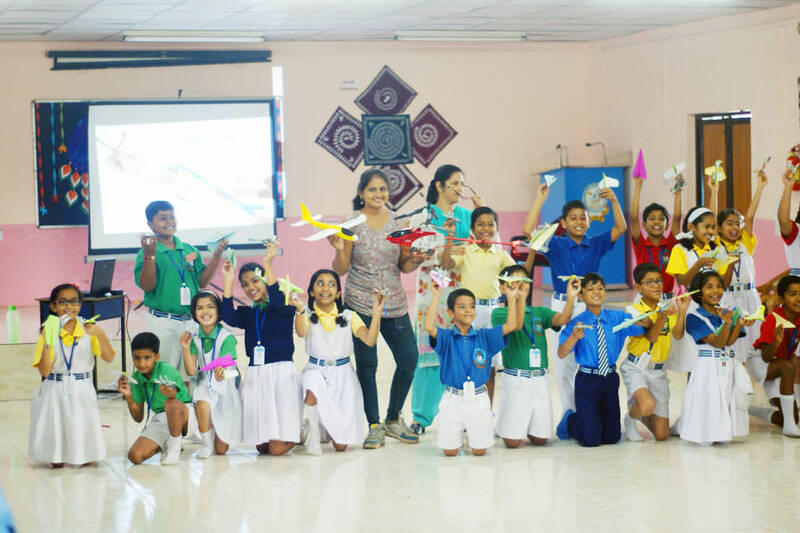 You can get your students started in Aeromodelling in a very cost effective manner by organizing our workshops at your school. We will come to your school with the kits and demonstration models to deliver awesome workshops. With all the things set right, lead the initiative of inviting us at your school. 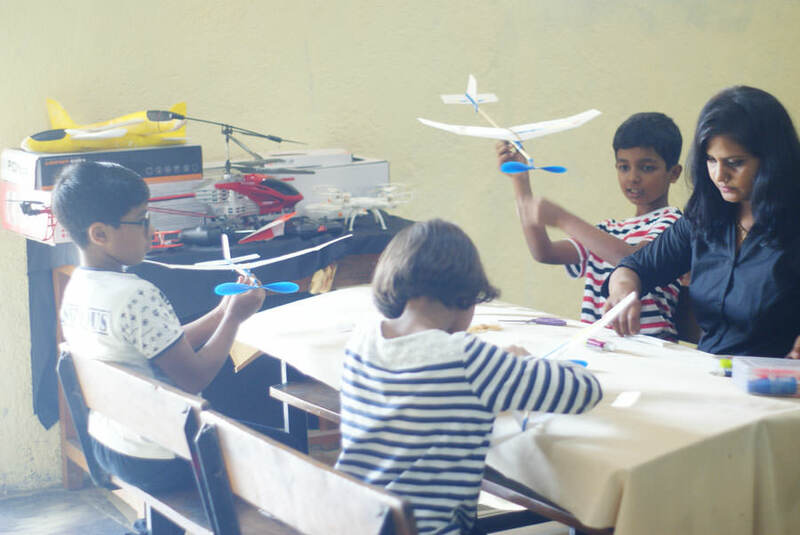 Our workshops are sure to give a great start to your students in Aeromodelling. Invite us now. Packages start from Rs 50,000 only. Innovate Model Planes at your Schools! 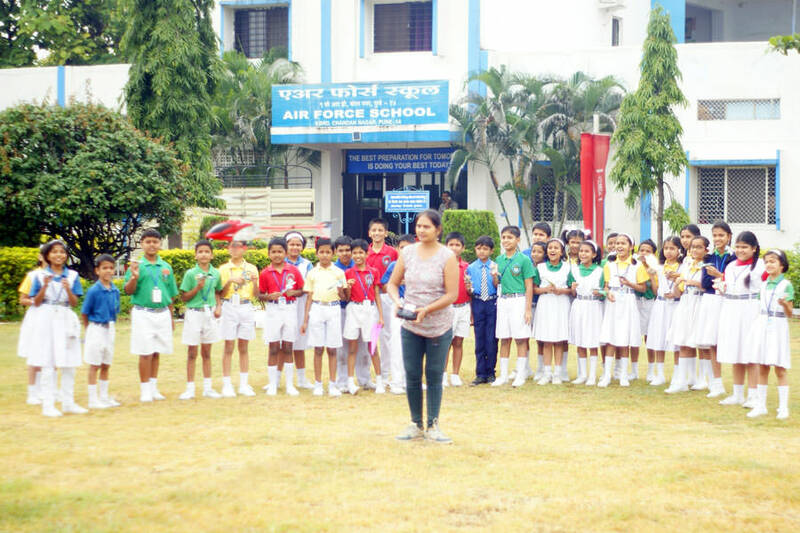 Aeromodelling lab is where the learning comes to you right at your school premises. This creates a huge positive impact, a range of opportunities and also an accessible ‘innovation’ space at your own campus. High Octane Aerosports assists building this lab in schools. Lab shall feature range of display model planes, quadcopters, tools, books, videos and aeromodelling kits. 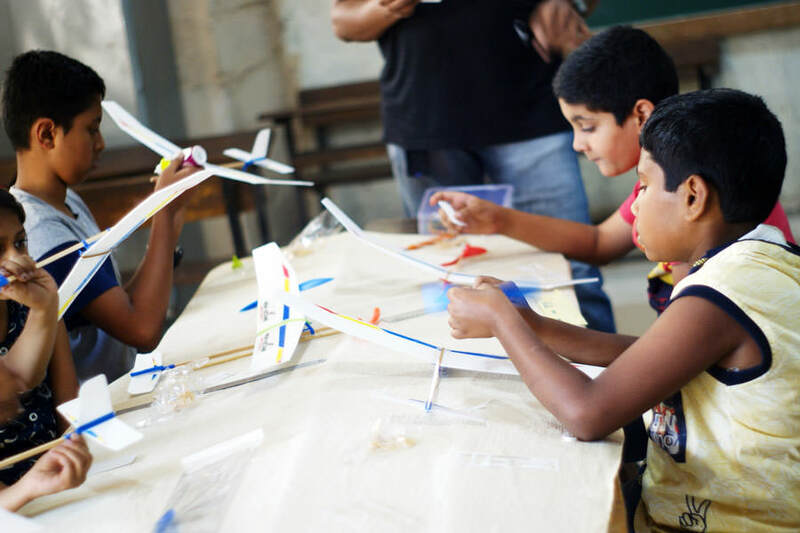 Through our innovative and hands-on STEM projects, it will be easy for your students to learn, build and fly model planes at your space and engage with STEM. Also, your faculties will receive training on the nitty-gritty of handling the lab and conducting course modules for entire set of innovators. All this, with practical methods to make your students shine and excel in innovative STEM field. Aeromodelling Lab will become a best feature and selling point for your institution. We have all the things set. So lead this initiative in your school now. See the sizzling model planes! 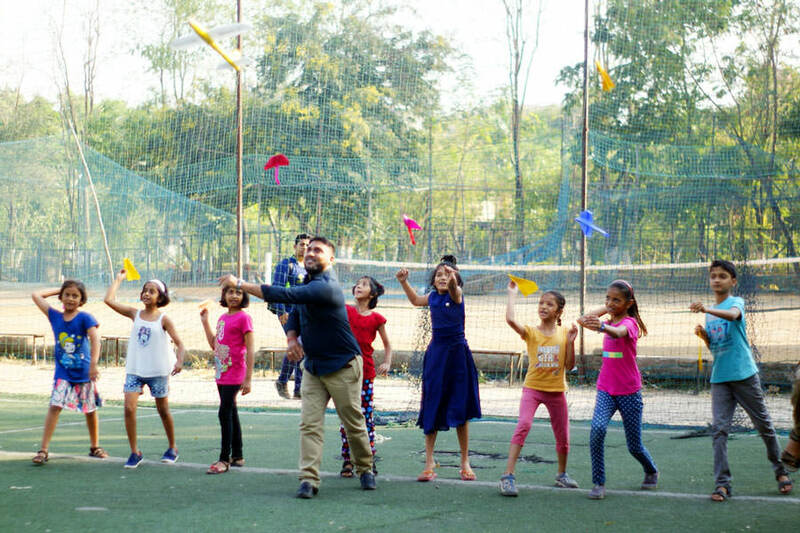 Look into the key features, exquisite fun and the learning experiences! Register now for the workshop of your choice!